Not all penguins live in super cold climates. ... And you can find penguins up and around the coast of South America and in the Galapagos Islands. Located on the equator, the Galapagos Islands are the warmest penguin home of all. There is even a species of penguin in South Africa! But no matter what kind of penguin you are, we welcome you on March 4 at the Penguin Plunge, at Memorial Park at 53 Piermont Ave., Nyack. Parking is available in the municipal parking lot as well as legal parking spots on the street. There will be lots of other penguins there, ready to take the plunge for our Penguin Plunge recipients, Sebastian Scully and Elle Fishman! But how about our human penguins, what do they they about this recent heat wave? We spoke to our personal coolest penguin, Rich LaPlaca. 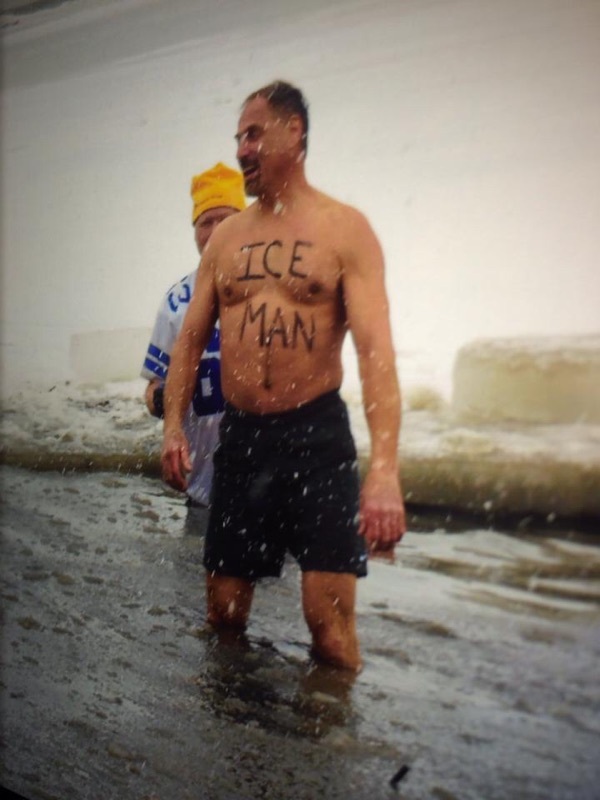 Rich, who also goes by the name Ice Man, says he is quite happy with the recent rise in temperatures. Having taken the plunge where we had to cut a hole in the ice, Rich is okay with whatever Mother Nature decides. The Ice Man will be there, Sun or Snow!